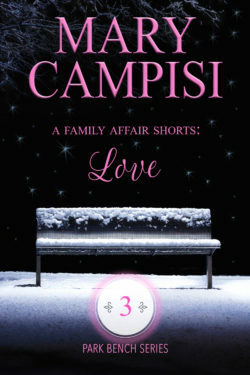 In A Family Affair Shorts: Love, Book Three, Charles is determined to let duty prevail over desire and breaks off his relationship with Miriam. But he soon realizes his real life is with Miriam, even if it is only four days a month. When he confesses this truth, she shares a truth of her own; she’s pregnant. Together, they will form a new family, one that while not conforming to society’s standards, is nonetheless filled with love and commitment.